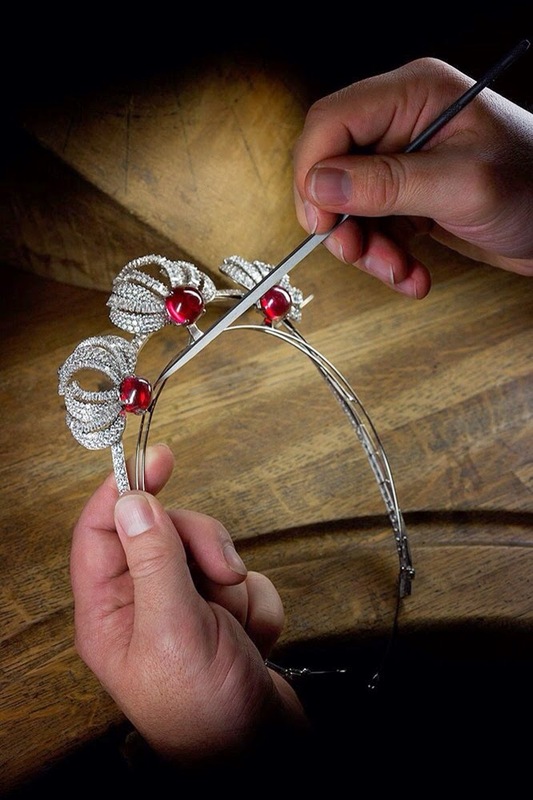 I am sure you have noticed the extremely eye catching Ruby and Diamond Tiara Nicole Kidman was wearing in the film named Grace of Monaco. 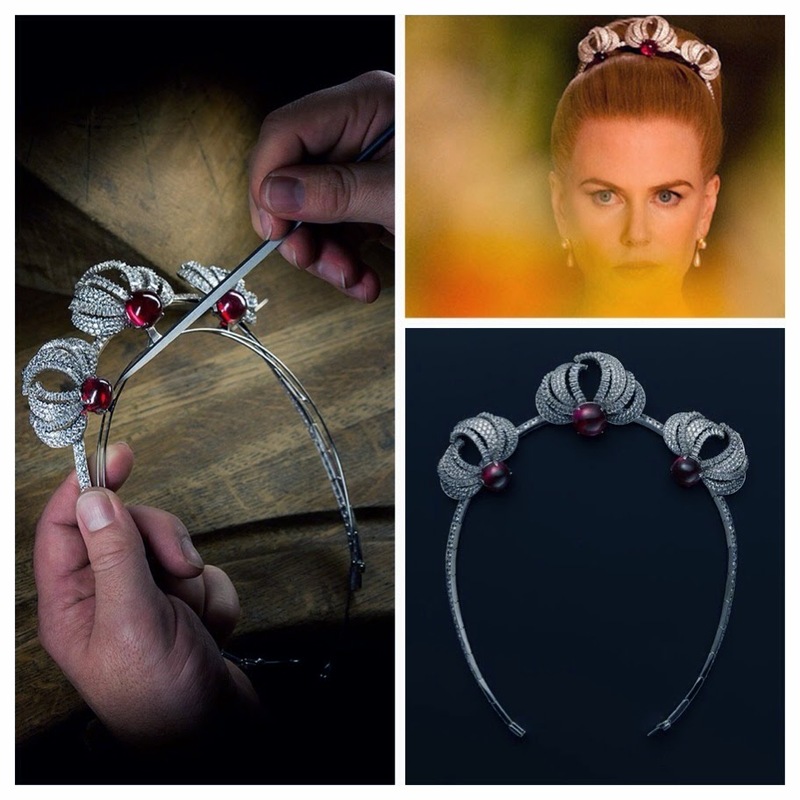 It is a reproductions of five of Grace Kelly, later Princess Grace of Monaco’s Cartier Jewels. 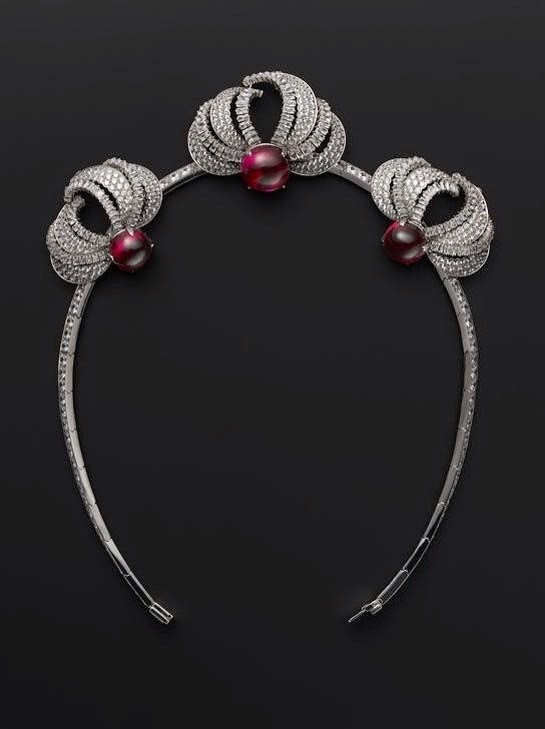 Kelly, who married Rainier III the Prince of Monaco in 1956, was a long-time lover of the Parisian jewellers. It was a love affair that was cemented when Rainier proposed to her with a Cartier's 10.47 carat emerald-cut diamond ring just 3 days after they met. Kelly gave up her Oscar-winning career as an actress when she married, was gifted many more Cartier jewels as wedding presents, and she continued to wear specially-commissioned pieces until she died aged 52 in 1982. 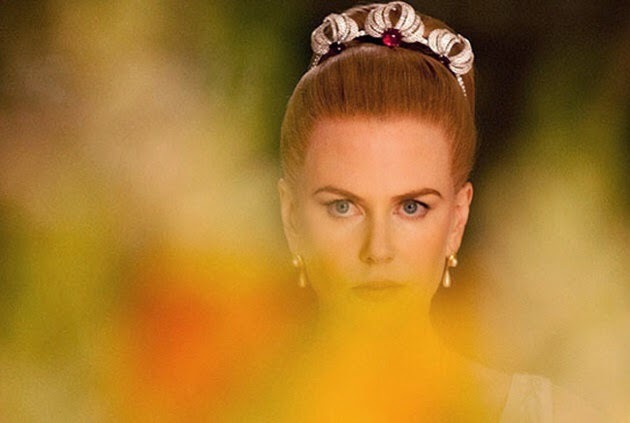 With greenlights from the Sovereign House of Monaco, Cartier reproduced Kelly's pieces including huge engagement ring, diamond-encrusted poodle brooch, a chicken brooch a three-strand diamond necklace, and a ruby and diamond tiara for Nicole Kidman to wear throughout filming. Moment like this, I am glad that all these piece can be reproduced, only then we all get to witness these timeless pieces that shall be remembered.